Before we know it, spring will have sprung and be readily upon us. Which means, now, months or week before the first official day on the calendar, it's time to get yourself in the right mindset for marketing spring events, and readying your business for new changes. Whether that means new products, services, or just updating the way your business runs (who doesn't realign their stuff come spring? ), it's a great time of year to look at your franchise as a whole and to breathe new life into your efforts. Doing this on a regular basis can help keep your brand fresh. It can help point out any particular errors or sections of the business that aren't running smoothly, and so forth. It's also a good habit to get into so that you can eliminate weak points in going forward. Before you know it, this will become habit and it's an event you won't even have to place on the calendar. In the meantime, however, get spring cleaning on the brain for a way to effectively revamp your business. Whether literally or metaphorically, it's a great forward move with your franchise location. Much of this metaphor is blaringly obvious, of course. Plants bloom in the spring time. As the weather warms up and regular rain is falling, it's time for plants to sprout and blossom before the long hot months of summer. There's nothing new or surprising here. However, this mantra is also one that can be easily passed onto your business. With everyone already thinking new, fresh thoughts, this is the perfect time to brand those same ideals into your franchise. If you aren't already up and running, spring is a great time to open your doors. No matter what stage you are in the process, use this time of year to capitalize on momentum and push your franchise forward into being. This might mean in moving the opening process along, or it might mean actually being able to open your doors. There is no set timeline for any franchise, of course. While each brand might come with projected timelines, you can use your own motivation to help move that path along. Or to simply mark items off of your list to keep it on par with the company's standards. 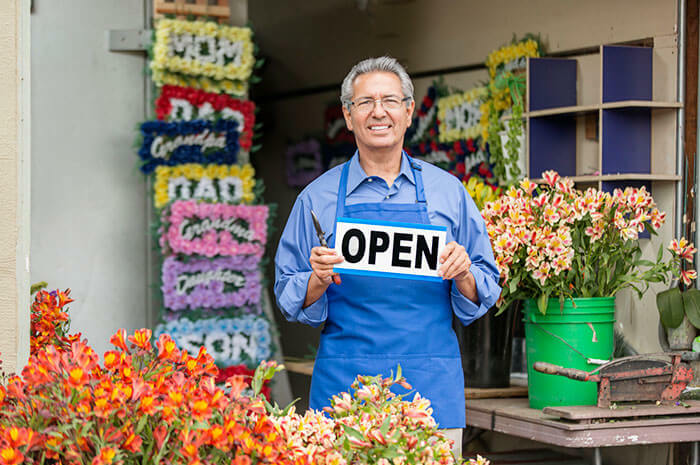 Because we're coming out of winter, coldness, dark evenings, and more – spring becomes the perfect time to push forward with your franchise venture. Next, for those who are already up and running, consider spring as a motivator for trying new products or revamping the way you do everyday tasks. There's something about the time of year that provides us with more energy. This naturally allows us to become excited about work – even more so with your franchise of choice. As for new projects or service packages, this is often due to customer need. As weather warms and daylight lengthens, customers will need different products, items, and services provided. Look back at previous years of business and what was sold in each month. You can verify trends based on the time of year. Knowing this information going in allows you to anticipate the changes before they actually happen, therefore creating a situation where you're ready and able to meet these needs. That might mean having product on hand, ensuring staff members are fully trained, can take on more hours as needed, and more. Alternatively, if this is your first year (or first season) in business, talk to your franchising brand. Ask them what they expect to boom. What have others in your area seen? Are there regional trends? Do they have data or numbers that can help your brand prep for coming months? Reach out to fellow franchisees and ask how they've gotten ready for sudden influxes or changes. Keep in mind that, depending on what your franchise specializes in, you could even see a lag in business. This is normal, based on industry, the key is to be aware of the changes and understand how to work with them as they come. In these instances, it can be a great time of year to work on internal changes, team training and education, and more. Each time of year comes with its own nuances for your business. Learn what each month might mean for your franchising industry and how you can use it in your favor, not only for the current season, but in using data for years to come.